Experience the magic of the moment when you plan your wedding at the Renton Pavilion, a gorgeous event space perfect for your special day. Whether you have always dreamed of an elaborate fairytale wedding or a sophisticated intimate gathering, you can count on us to bring your dreams to life. The beautiful Renton Pavilion is located in Renton’s revitalized downtown core just 15 minutes from Seattle and the Seatac Airport. 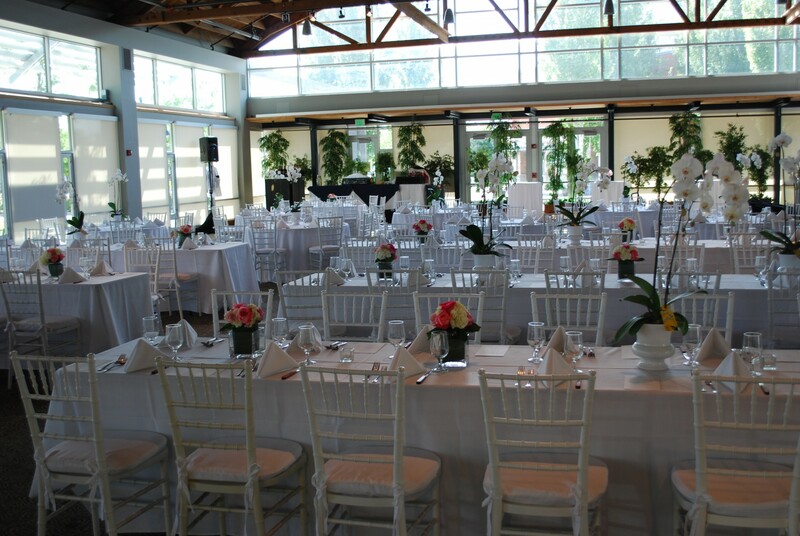 The Renton Pavilion venue can accommodate large or small weddings and other various events. The Renton Pavilion offers your guests the ease of having the wedding ceremony and reception at the same location and they will enjoy the benefits from our stress-free onsite parking. 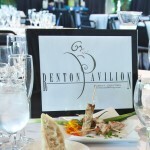 Our mouth-watering wedding package menu options are available through the Renton Pavilion’s Rain City Catering company, popular caterer of the Mariners. 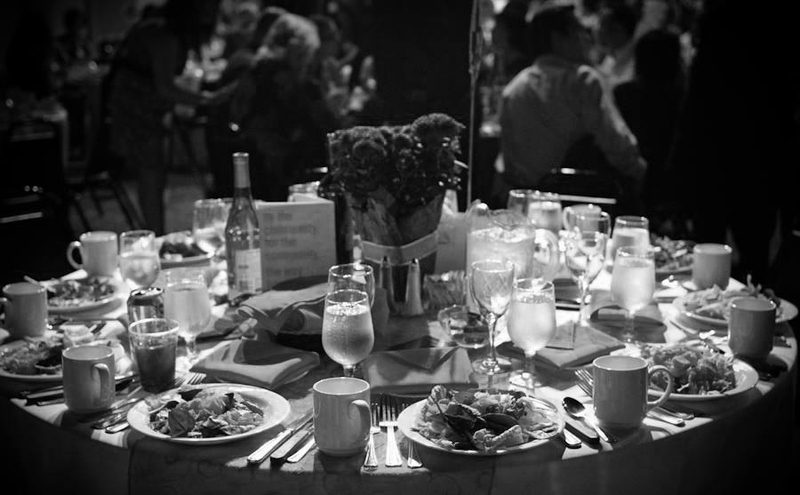 We provide appropriate seating, dramatic lighting and matching linens, as well as room dividers and a stage, if required. The Renton Pavilion wedding professionals guide you in preparing for your wedding every step of the way so no detail is left unattended. You can count on our experienced event planners to help design the perfect floor plan that enhances the wedding experience for your guests. 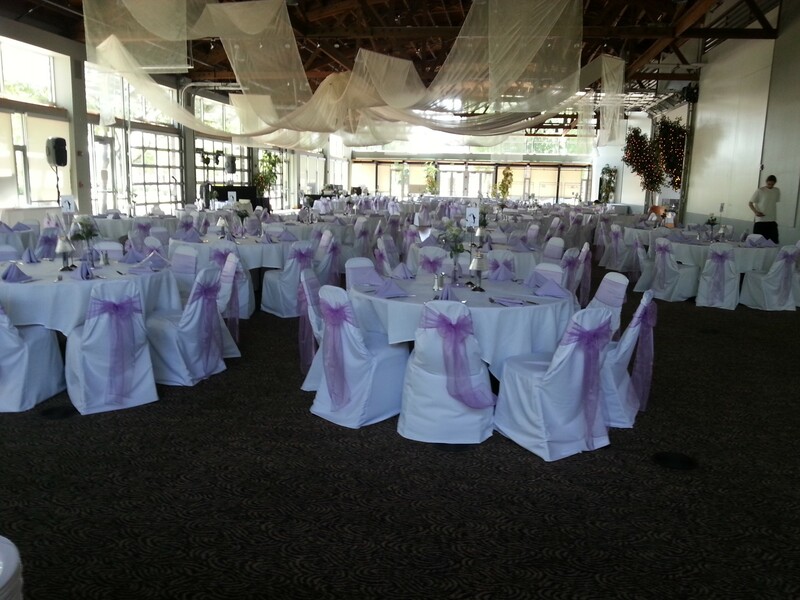 Here is a sample of a floor plan we would use for a 200 person wedding reception at the Renton Pavilion. When you book your wedding at the Renton Pavilion you know that the menu and food preparation by Rain City Catering will be outstanding. 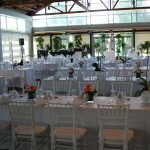 The Renton Pavilion wedding professionals will guide you in making the right choices to fit your tastes and your budget. The wedding menu by Rain City Catering offers a selection of artistically presented dishes prepared with only the freshest ingredients. Many Rain City Catering menu items offer a new twist on enduring favorites. Check out our menu selection options. 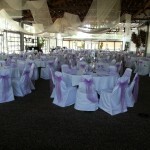 Are you a wedding or events planner in the Seattle area? Are you looking for the dream location for a wedding ceremony and reception for a client? 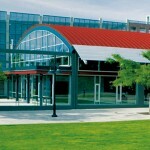 The Renton Pavilion is your dream come true event center. Contact our wedding professionals today to learn more about how we can help your clients. Contact the wedding professionals at the Renton Pavilion and let us help you create extraordinary wedding memories that will last a lifetime.